Without admitting or denying any wrongdoing, Matthew Meehan (CRD#: 4320603) has consented to the sanctions that were brought by FINRA’s Department of Enforcement. According to the complaint (Case reference No. 2016050114901), the Winter Garden-based broker has been suspended for one year and ordered to pay a $15,000 fine and $21,813 in financial restitution to affected customers. These sanctions stem from findings that Mr. Meehan recommended unsuitable investments to his clients and engaged in unauthorized trading. FINRA Rule 2111 requires investment advisers to have a reasonable basis of belief that any trades they make and any strategies they recommend are actually suitable for their clients’ individual investment objectives. This is not merely a passive obligation; brokers have an active duty to conduct proper due diligence to create an investment profile for their clients. In this case, investigators determined that Mr. Meehan failed to recommend suitable trades. Indeed, the recommendations and investment strategies he offered for at least three different clients were found to be ‘quantitatively unsuitable’. Essentially, this means that his recommendations were inherently flawed. They would not have been suitable for any customers, no matter their needs. This is because his investment advice came with tremendous transaction costs that made it practically impossible for his clients to actually make a profit. According to FINRA officials, one client had a cost-to-equity ratio that exceeded 175 percent. In other words, this client would have had to make investment gains of 175 percent over the course of a year just to break even. Needless to say, this investor sustained substantial losses by following Mr. Meehan’s recommendations. Investment advisers are required to seek proper authorization from their clients before they execute any transaction. In some cases, clients open up ‘discretionary accounts’ with their brokers, which gives the financial professional the power to conduct individual trades without seeking specific authorization for each transaction. Other investors stick to ‘non-discretionary’ accounts; with these accounts, the broker must seek approval for every single trade. In this case, FINRA investigators found that Matthew Meehan conducted trades on customer accounts without receiving proper authorization. Several of Mr. Meehan’s clients had ‘non-discretionary’ accounts, yet he operated these accounts as if he had full discretion to make trades. This is a direct abuse of the trust that his clients put in him. Victims of unauthorized trading are entitled to recover compensation for the full value of their losses. 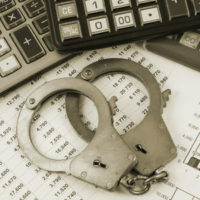 Were You the Victim of Securities Fraud? Our attorneys can help. At Carlson & Associates, P.A., we have extensive experience handling a wide variety of investment fraud claims, including claims related to unsuitable investments and unauthorized trading. To schedule a fully confidential review your case, please do not hesitate to call our firm today at 1-(305)-372-9700. From our office in Miami, we represent investors throughout South Florida, including in West Palm Beach and Fort Lauderdale.